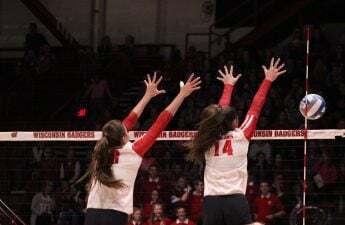 As the spring slate opened last Saturday, the University of Wisconsin volleyball team had some major unfinished business. In December, the Badgers dropped an Elite Eight matchup to the Illinois Fighting Illini in four sets, putting an end to their season. Sophomore Dana Rettke dazzled in that regional final matchup, piling up 21 kills at a 51.5 percent clip. Illinois’ Jacqueline Quade dueled Rettke with 25 kills of her own. The Badgers put together numerous runs to combat the Illini’s hot starts in each of the four sets, but Illinois was able to grab narrow set victories and eventually eliminate the Badgers from going any farther. This year, Wisconsin will look to outdo their Elite Eight appearance. 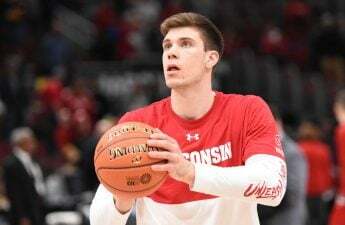 Wisconsin opened their spring schedule against the Phoenix of UW-Green Bay — a team the Badgers played in the opening round of the NCAA Tournament last spring. The Badgers took care of business with a sweep of the Phoenix. 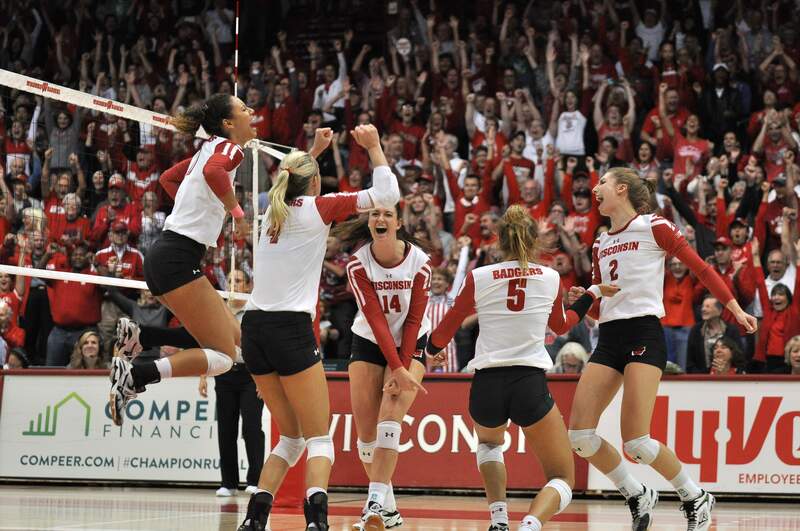 Both teams agreed to play a fourth set for additional experience, which the Badgers also won. Six-year head coach Kelly Sheffield praised the number of fans in attendance for a spring game. “Two thousand people being here for a spring match, on a Saturday where the weather is fantastic … this is an unbelievable volleyball community,” Sheffield said. Wisconsin faced UW-Green Bay in the first round of the NCAA Tournament last year and swept that matchup as well. Wisconsin will conclude its spring schedule against Marquette on April 12 and Purdue on April 20. But the team this year is much different, despite consistent rosters. Senior Tionna Williams departed, along with sophomore Mariah Whalen, who transferred to Cal Poly after injury issues. At Cal Poly, Whalen — a Wausau, Wisconsin, native—will transition to the sand court, which should ease the stress on her knee — the main source of her continuous injuries. 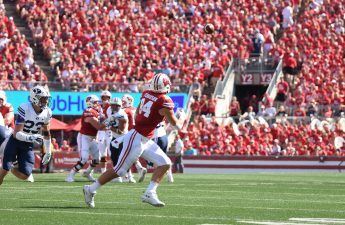 Outside of those changes, the Badgers have maintained their entire roster from last season. Sophomore sensations Sydney Hilley and Rettke, who return as juniors, are potentially the best young tandem in the country. Libero Tiffany Clark captains the back row with energetic diving saves and communication among the defense. The major question this season is the middle blocker role opposite Rettke. Williams held a middle blocker role all four years of her collegiate career in Madison. 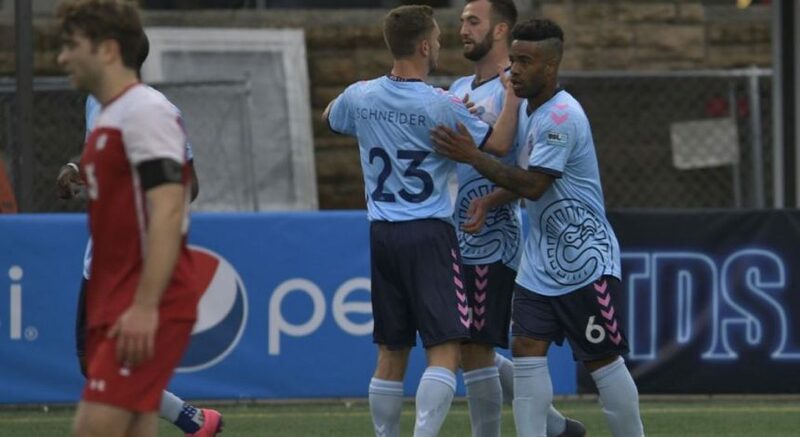 While Rettke receives a majority of the praise, Williams has been a mainstay that Sheffield didn’t have to worry about for most of his Wisconsin career. Williams is one of only six players in Badger volleyball history to record over 1,000 kills and 500 blocks on her career. Redshirt sophomore Danielle Hart looks to be the favorite for Williams’ replacement, but Coach Sheffield is definitely keeping his eyes open for what can benefit this team the most. Last season, fans saw a lot of change-ups and tweaks to the rotation based on opponents and situation. This would not be surprising to see in this middle blocker position next year either. Hart is the favorite right now, as she finished with a match-high of seven blocks and nine kills in the spring matchup against UW-Green Bay. Another potential replacement could be the 6-foot-7 Julia Wohlert, who was redshirted last season. Wohlert can nearly match Rettke’s 6-foot-8 frame and would terrorize opposing offenses with constant size at the middle blocker position. Two potential dark horse candidates are junior Nicole Shanahan and incoming freshman Courtney Gorum. Shanahan has received minor playing time during blowout victories last season. In the spring game, Shanahan notched two kills on eight attempts. Gorum, a former club teammate of Hart’s sister, enters as perhaps the most athletic of the Badgers’ recruiting bunch. Sheffield raved about her bouncing ability. “The first thing that jumps out at you about Courtney is her athleticism … she’s a big jumper and has the potential to be a big-time blocker,” Sheffield said. It would be surprising for Gorum to receive any starting time at middle blocker, but the answer to the middle blocker question will come this fall. Another exciting addition to this Badgers team is libero Anna MacDonald from Alpharetta, Georgia. MacDonald’s sister Amber served as libero in her early years at Wisconsin before transitioning into a team manager role upon injury. Amber steered her sister away from Wisconsin rival schools to ensure her sister ended up a Badger. Anna controlled the back row at Blessed Trinity High School as she helped lead her team to two state championships. She even set the Georgia state record with 3,297 career digs. MacDonald gives Sheffield a steady defensive specialist to couple with the senior libero Clark. Setter and former Hilley teammate Izzy Ashburn, outside hitter Liz Gregorski and walk-on defensive specialist Emma Whitehead round out the 2019 recruiting class. Changes are imminent, but the Badgers will rely on their current roster to return to the deep rounds of the NCAA tournament. Outside hitters Madison Duello, Grace Loberg and Molly Haggerty will look to improve on solid 2018 campaigns. Duello was recognized as a third-team All-American, according to the American Volleyball Coaches Association. Incredibly, she upped her kills per set from 0.75 to 2.70, alongside a solid increase in hitting percentage. Loberg averaged 2.66 kills per set and received the Big Ten Player of the Week award in early September. The 6’3” Loberg notched 19 kills against Iowa and an incredible 18 digs against Nebraska to upset the fifth-ranked Cornhuskers at the UW Field House last fall. Haggerty returned to action after being redshirted in the 2017 season due to a nagging back injury. Her numbers dropped compared to her freshman season, where she was named the Big Ten Freshman of the Year. But Haggerty will look to rebound after an injury-free 2018 and offseason. Wisconsin will lean heavily on Rettke for another successful campaign. The two-time AVCA first-team All-American became just the third Badger to earn two first-team honors. Another first-team honor would match Lauren Carlini’s Wisconsin record of three. Only 31 players have ever received four AVCA All-American awards, and only five have received four AVCA first-team awards. Rettke has the chance to enter that elite company with two more seasons alongside a setter she will continue to gel with. The Badgers will play both Marquette and Purdue away to round out their spring season this April. Marquette — who the Badgers swept last season on the road — poses to be a beneficial opponent this spring, as they have shown their tournament worth last season and only lost two seniors from last year’s squad. The Golden Eagles also fell victim to the Illini in the NCAA Tournament last year, just one round short of the Badgers. Purdue will also prove to be a great spring challenge for Wisconsin, as the Big Ten volleyball conference is dangerous regardless of the opponent. The Big Ten proved its dominance last season, with five out of the top ten rankings being from the Big Ten. Purdue came in at No. 17. Wisconsin beat Purdue in both matchups last season, including a thriller at the UW Field House that had a Rettke-led Badger team overcome a two-set deficit and finish off the Boilermakers in five sets. The match against Marquette will be Friday at 7 p.m., and the Badgers will play Purdue Saturday, April 20 at 1 p.m. Both games are away.